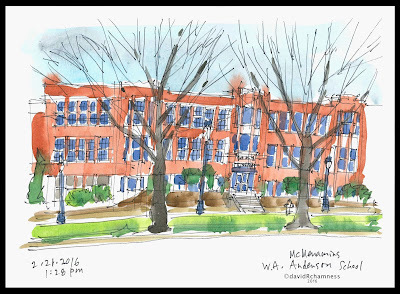 My first sketch while sitting in the courtyard with other urban sketchers. This is the area behind the old school which they have turned into a wonderful outdoor sitting area with open fire pits to warm the patrons. The only new building of the complex is the Shed, a small cozy pub that they nestled into the courtyard between some large trees. The weather was cool, but still dry as we all sketched and painted before the opening of some of the drinking establishments. As I began to cool down, was about the time of the Shed opened up for the day. 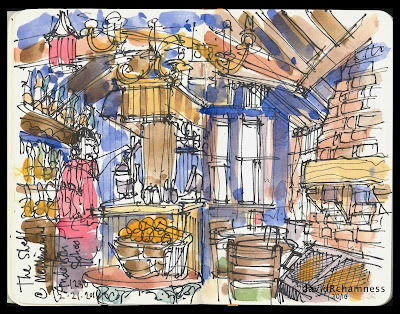 I sat next to Frank, had a pint of cider and enjoyed capturing the interior while Jack the bartender attended to his preparations for his later customers. 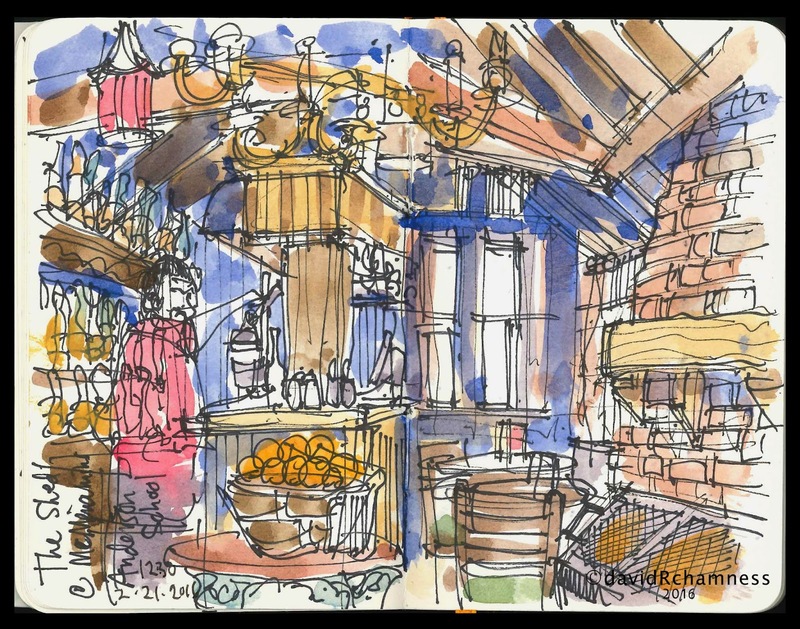 The fire was crackling in the hearth as the rain began to fall outside, bringing other sketchers into the Shed. 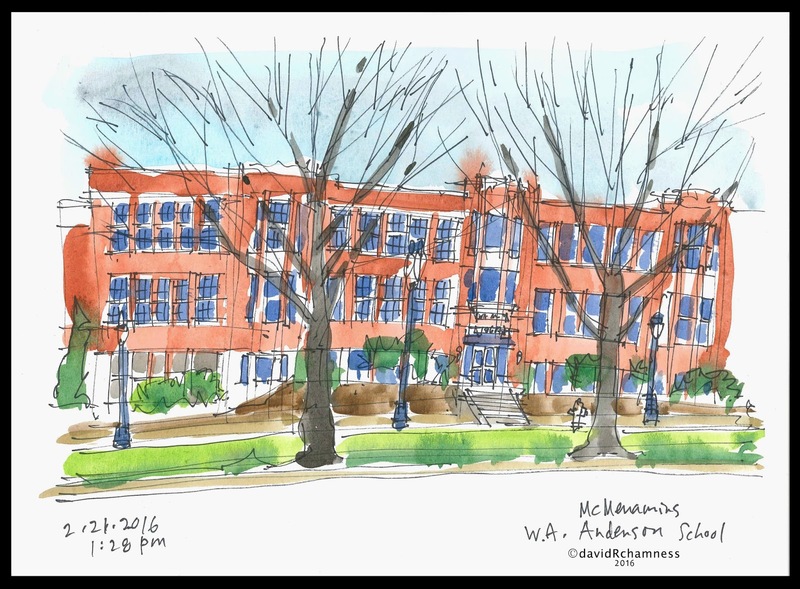 Later after the meet-up, I headed for my van and decided a sketch of the front of the Anderson School was needed to complete my day. Too much later in the year and the large trees along the street would obscure any view from this location. Great turn out by all and enjoyed this location. Look forward to returning in a little warmer weather. A wonderful set of sketches, will be a great memory in the future.